Our family will assist you with pre-arrangements, pre-payment options, at-need funeral services, transferring your pre-arrangements from another funeral home, memorial services, merchandise & floral selections, cemetery headstone/marker selections, catering, bereavement groups and even travel arrangements. The Fioritto Family of Fioritto Funeral Service has been providing the finest funeral service for 60 years. Founded in 1950 by Mario & Corinne Fioritto, Fioritto Funeral Service is completely family owned and operated. Fioritto Funeral Service provides all types of services from the simplest burial or immediate cremation to a full service traditional funeral. Located in Lyndhurst, Fioritto Funeral Service has facilities available in Mentor, Willoughby, Broadview Heights as well as throughout Northeastern Ohio to conduct our funeral services at a facility closer to your home. 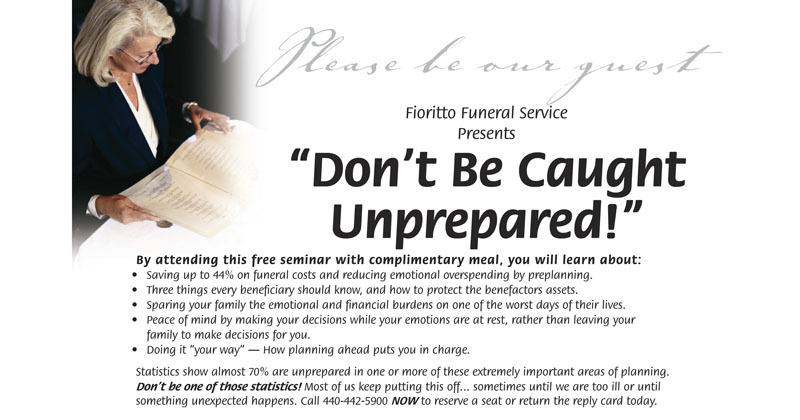 Fioritto Funeral Service handles all services, but uses a facility more convenient for you at no additional charge. For information or to schedule an appointment, please contact our family staff. Fioritto Funeral Service serves all faiths and ethnicities. 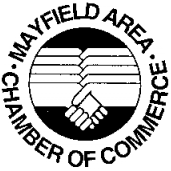 We are proud that we are strictly a family owned and operated business. This allows us to customize and personalize our service to each family we serve. Mario and Corinne’s devotion inspired their children to join the business. They all helped out while growing up, and all three children became licensed funeral directors. Each one worked side by side with their father and mother learning their legacy. Shortly before his death in 2006, Mario was elated to guide the family business into the third generation as his grandson obtained his license.We have always found it comforting that family is just a phone call away during your time of need. While Mario and Corinne are no longer with us, we are proud that they left us, their children and grandchildren, the legacy of love, faith, family and service we continue to share with the families we touch. As we provide the finest funeral service, we believe each family we serve becomes a part of our family.